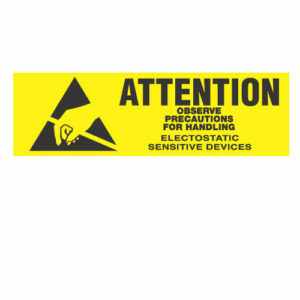 BEMCOT M-3 static dissipative cleanroom ESD wipers are suitable for nearly all electronic manufacturing and optical cleaning applications. 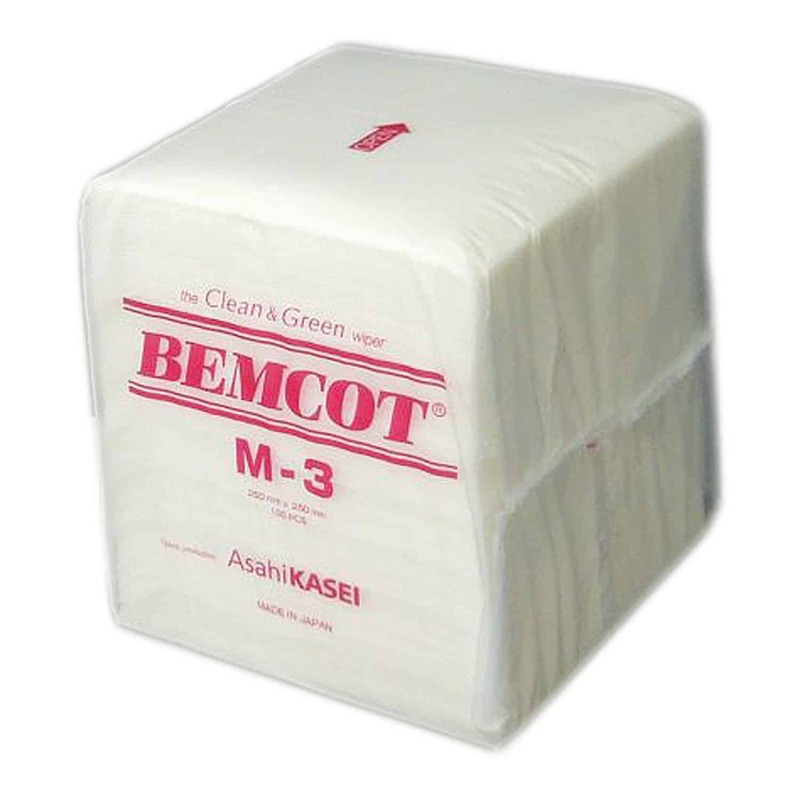 Bemcot wipers are for quick and easy wiping in cleanrooms and other working environments that demand the lowest levels of lint and particles. 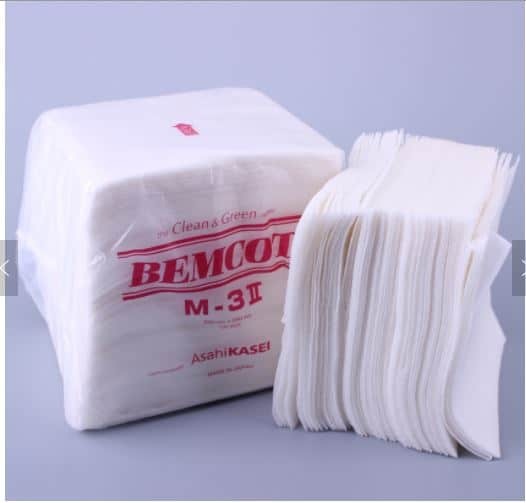 BEMCOT is characterized by its low particle generation, high absorbency, high purity, high chemical resistance, high heat resistance, anti-static, ecoefficiency, enabling the high level of performance required for wipers for cleanrooms. 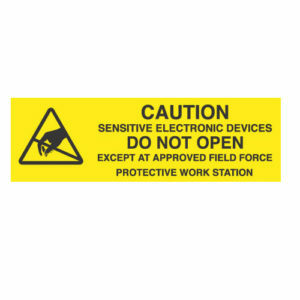 Bemcot wipers can be used in various industries such as semiconductor, optical, medical, cosmetics, food & beverage, printed circuit boards, building maintenance, automobile, aircraft, LCD, magnetic tapes, oil, tools, equipment, glass, optics, etc. 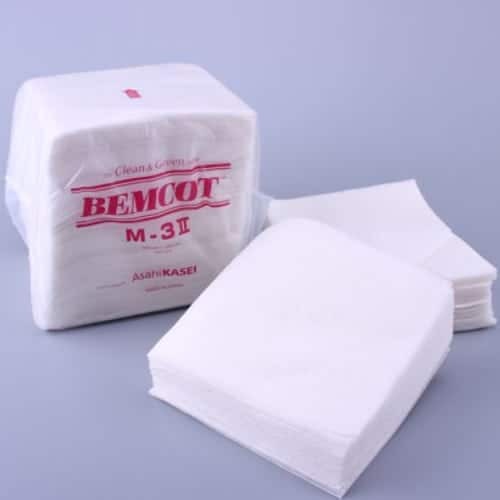 Each Bemcot fiber absorbs liquid and swells. Coupled with its special structure, its property allows Bemcot to absorb liquid 13 times its weight. 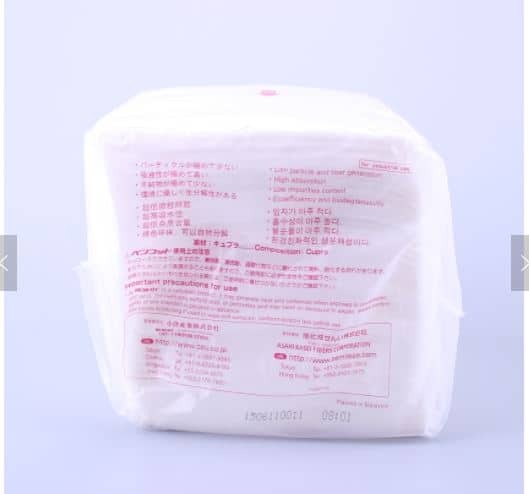 The fiber itself contains a moisture content of 11% in its standard condition (at 20°C, 65%RH) so that the possibility of static electricity generation is very slight. 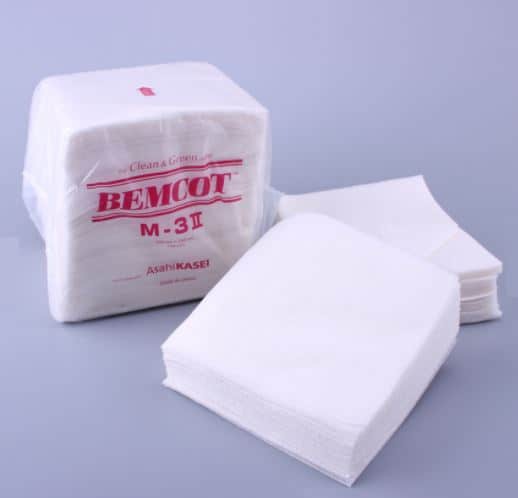 Made out of cotton into a 100% cellulose wipe, Bemcot can be easily burnt after use, without producing toxic gases. 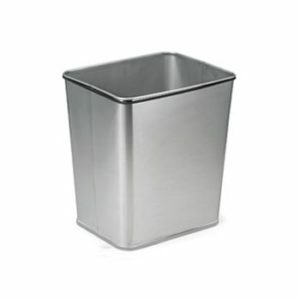 In addition, it burns completely, facilitating the recovery of precious metals after wiping. 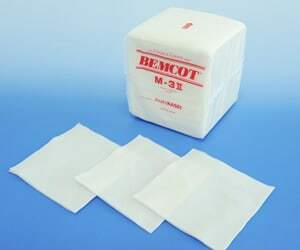 Bemcot is carbonized at a temperature between 260 and 300°C. 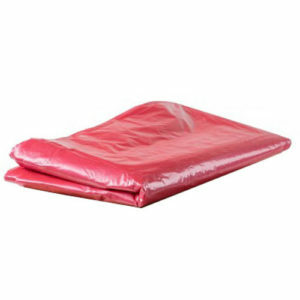 Unlike synthetic fibers, it does not dissolve at 150°C.